Because of lack of interest in this endeavor (others as well as my own), this will be my last Pinning with Purpose entry. 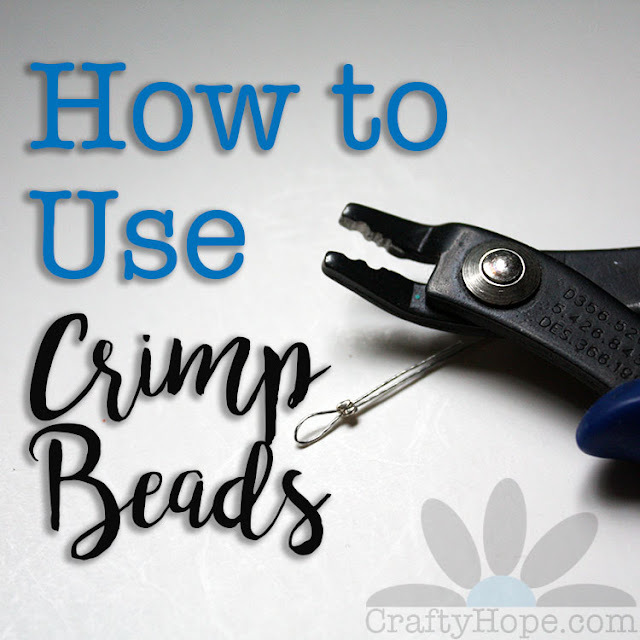 I definitely want to thank Jenna at The Painted Apron for her almost weekly participation in this linky party. THANK YOU! Here are the two recipes she shared last week. These seem perfect now that the weather has turned more chilly. As for what I had on my list. 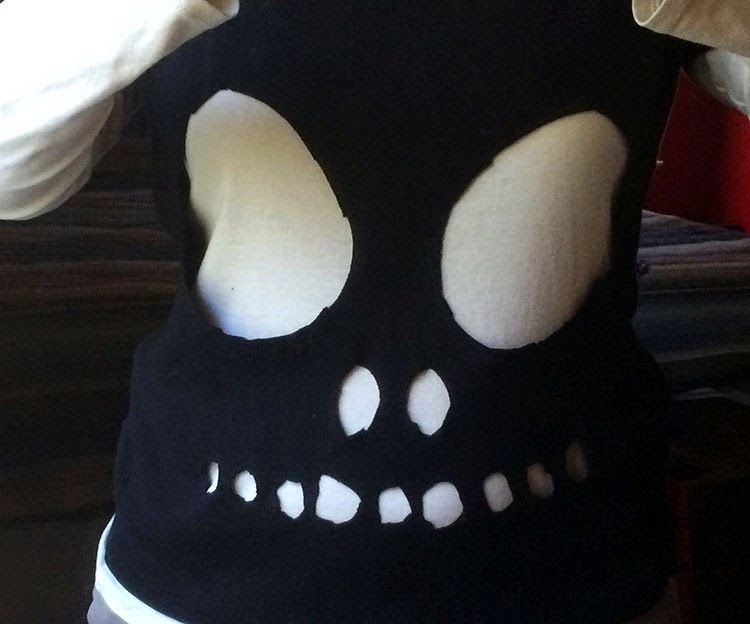 First was this cut-out skully tee for Halloween from my HOLIDAY | All Hallow's Eve board. 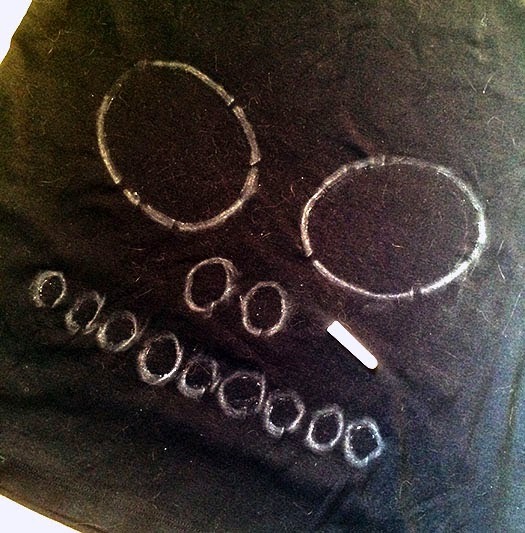 It's based on this original skully-tee tutorial. (for some reason I can't get the original picture to share with you, please click over to see it.) Here's how I went about making it. 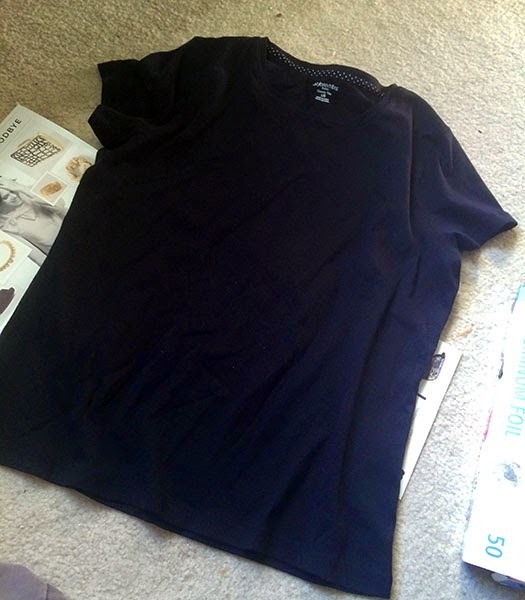 I bought a plain, black t-shirt at the thrift store. Using some templates that I made from thick paper, I traced out the features with chalk. With sharp sewing scissors, I roughly cut out the facial features. I layered the black shirt over a white one to make sure the face could be seen. I got a few compliments on the shirt as well as a few weird looks, but I really like how easy and interesting it was. I even had one lady tell me about her friend who made a similar pumpkin one layered over an orange tank top. Cool beans. 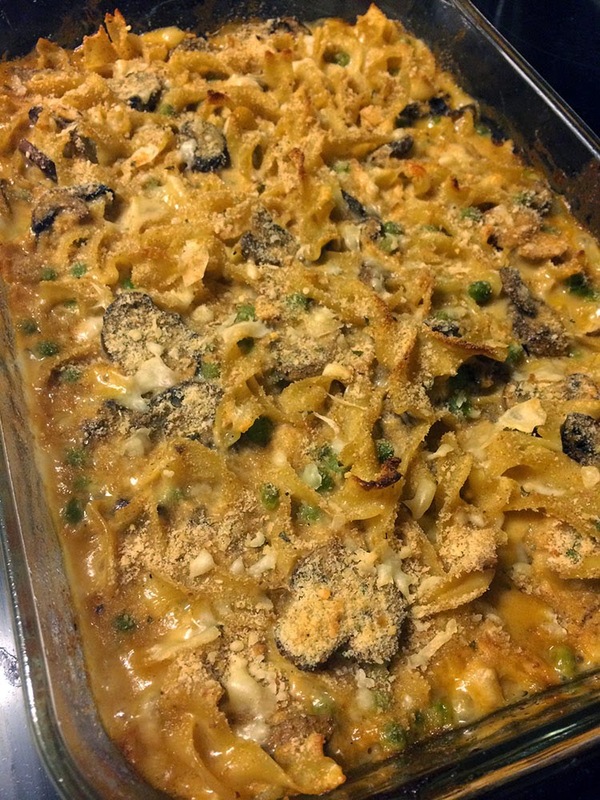 Secondly, I planned on making this Skinny Tuna Noodle Casserole (from my FOOD | Healthy-er Eats Board). 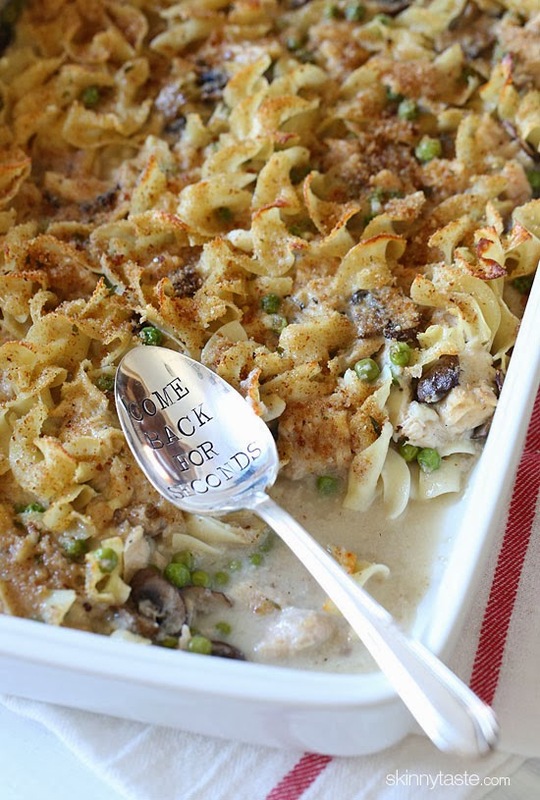 I was a little worried before I made this about how it would go over at my house since my husband informed me as I was in the process of making it that he doesn't really care for tuna casserole (despite liking my tuna noodles). Gah! Seriously!? It all worked out in the end as he ate 2-3 helpings of it. However, the leftovers are still sitting there. (One of the downfalls of no microwave). I might just make this again. Since this is my last PwP, I haven't selected any new Pins to work on, though I do encourage you to link up. I'll leave the link open a little longer than usual just in case you do have something to share. Thanks to those of you who have played along with this. I thoroughly appreciate it. Darn! I actually loved these posts and although I haven't participated yet... I was always thinking when things calmed down I would! Maybe you'll think about starting it up again in the future? Sometimes it just takes some time to get noticed. 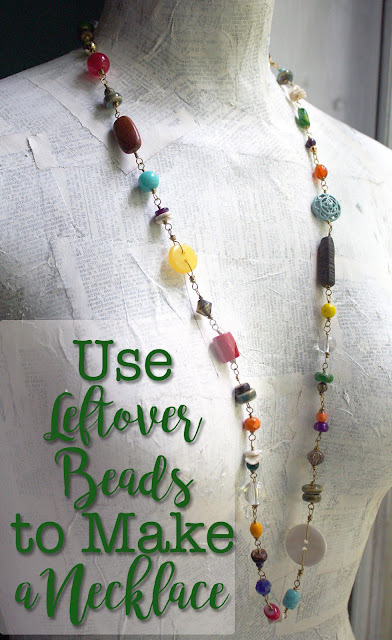 This is really an awesome idea. Janet, I was enjoying them too but with lack of interest and the approaching holidays, I knew that my time and attention would be misplaced. I suppose there is a possibility that I'll start it back up in the new year. Cute shirt Hope, and the tuna casserole looked pretty good. It must have been really good for your hubby to eat that much of a type of dish he said that he was not that found of :-). I actually started to do one of my pins but I was going only by the picture and got frustrated and gave up. :-( well it was fun reading about your Pinning with Purpose post. I really enjoyed seeing that you made, I just haven't had the energy make anything beyond the blog challenges that I am signed up for. One of the downsides of fibro when the weather turns chilly. I am so sorry you are stopping your party, I am sure it's a lot of work, and you seem busy enough! From what I've learned through other parties is that they take a lot of social networking and interactions to get them going~keep me posted if you ever want to try again and I will be there!! 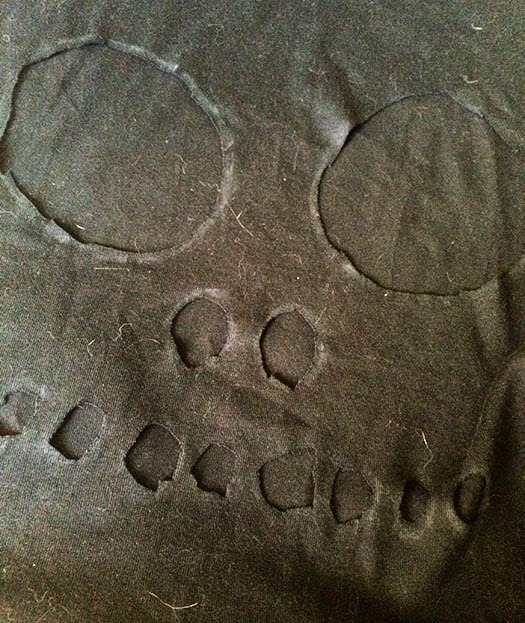 Your skully tshirt rocks by the way, Super cool and creative!! I am not a fan of tuna anything, and don't you love it when someone tells you they don't like something after you've made it a gazillion times? Ha, have a great week Hope, thanks for all the shout outs!